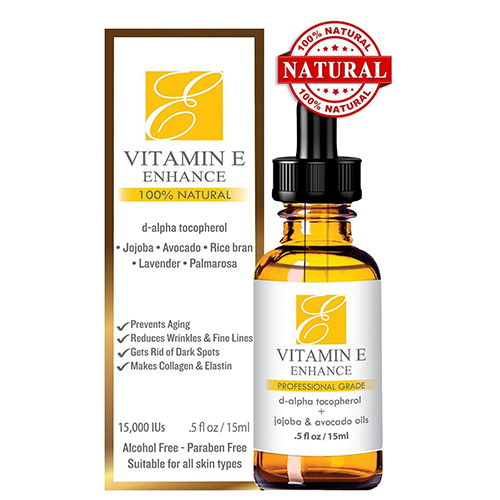 Alpha Tocopherol, generally known as Vitamin E and is dubbed as a miracle drug is a fat-soluble antioxidant beneficial to the skin, hair, nails, and health. 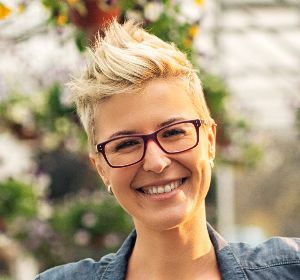 Hence, it’s a powerful free radical fighting antioxidant that has the ability to protect cell membranes from oxidation, like those of the eyes against the damage of free radicals; has anti-inflammatory properties vital in preventing numerous heart and blood complications; and an essential remedy in treating dry and dehydrated skin. With its excellent skin benefits, not surprisingly, Vitamin E is widely used as an ingredient in various skin care products, like facial oils/creams, anti-aging moisturizers, sunscreens, and lotions. However, to get its maximum benefit, it’s needed to be combined with other antioxidants. This combination will help skin care products from “first-string defense” (coined by Tatiana Kononov) against the damaging effect of free radicals and environmental stress. The sources of vitamin E include green leafy vegetables, vegetable oils, nuts and seeds, fruits, and seafood. It can also be found in various drug/grocery stores in the form of liquid and capsule. As a reminder when purchasing such product, consumers should take note of the label ‘tocopherol’, and check its ingredients to make sure it’s combined with other antioxidants. Vitamin E Oil is a skincare product with Vitamin E content—either organic or synthetic that usually comes in a sizeable bottle meant only for topical use. To make the apt viscosity for topical application, its Vitamin E content is limited to less than 100% and is combined with other ingredients like coconut oil. 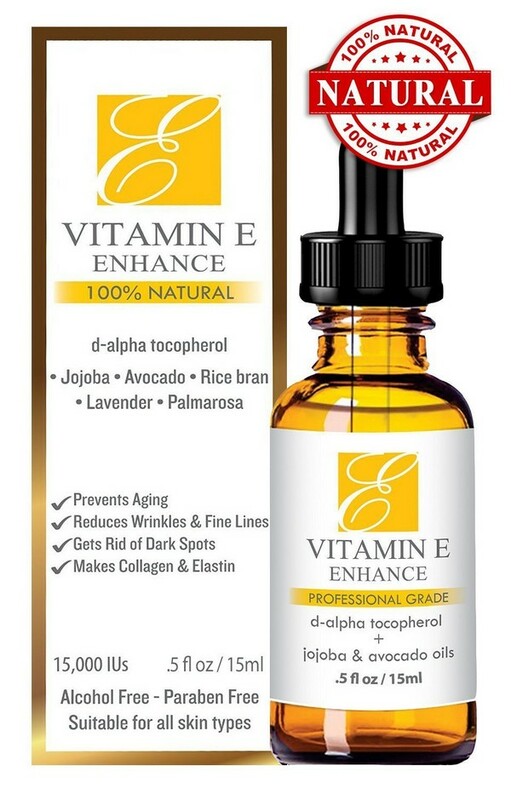 Vitamin E oil prevents the formation of wrinkles by blocking damages induced by free radicals, restores them by augmenting collagen production, and supports new skin cell growth and accelerating cell regeneration. 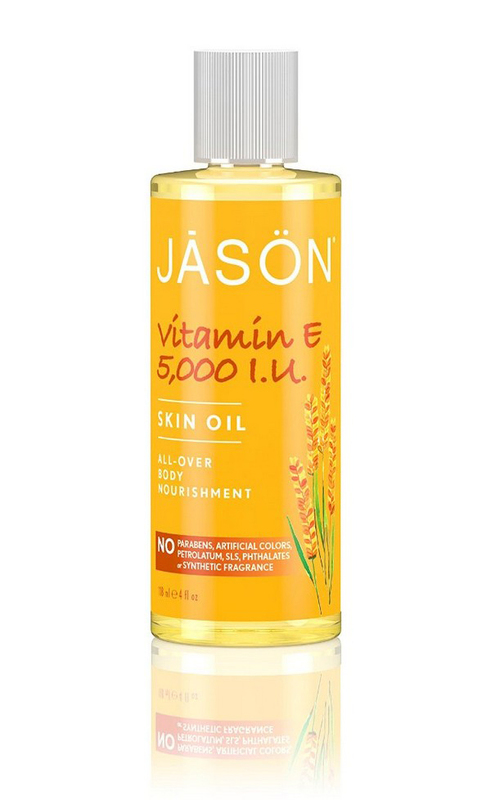 What makes Vitamin E Oil great for diminishing the appearance of stretch marks? Of course, it is the fading properties of Vitamin E! It works from inside out. It heals marks by penetrating down to the second layer of the skin and filling up the depression on it. Through this way, healing is made natural and effective. Vitamin E Oil in combination with Olive Oil is the perfect treatment for rough skin. Together, they provide the skin with sufficient and necessary moisture and antioxidants with non-grease feel. With its healing properties, Vitamin E Oil helps repair rough, cracked nails and cuticles. It acts as a natural moisturizer that rehydrates and prevents them from future cracks, leaving you with smoother, shinier and stronger nails. Tangled hair is best treated using a mixed solution of Vitamin E Oil and a regular shampoo. This mixture creates a 2n1 anti-tangle solution that conditions both hair and scalp and will leave you with soft, silky, strong hair and dandruff-free scalp. Are you looking for a natural skin care solution? If so, then the Vitamin E Oil by Kate Blanc is the product for you. It can make your skin soft and helps minimize wrinkles. This is the best multi-purpose oil for you! 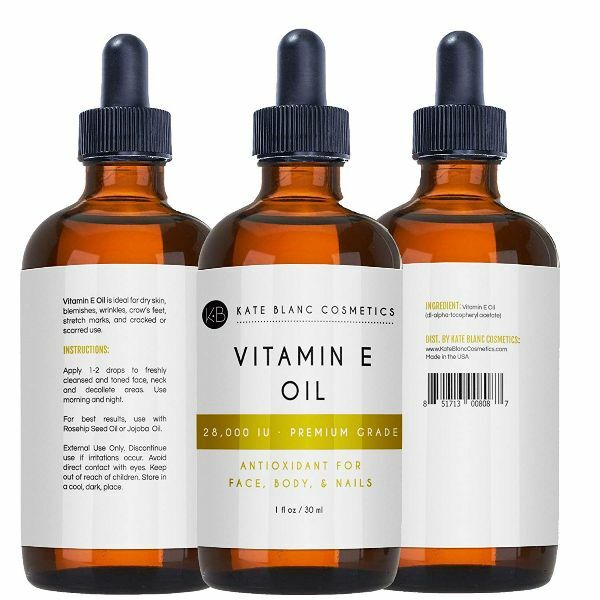 Similarly, the Vitamin E Oil by Kate Blanc likewise has anti-inflammatory qualities which aid in lessening fine lines, stretch marks, and scars. You can also include a few drops of this to your beloved creams, serums, or moisturizers to immensely hydrate your skin. It can remove stretch marks and scars. You can use it on your hair and face. It can treat skin aging and elasticity. This product is covered by 100% satisfaction guarantee and 1-year warranty. Health Priority Vitamin E Oil V contains more Vitamin E power compared to other synthetic products. It is not too sticky since it is made of 100% pure Vitamin E oil combined with organic components such as jojoba, avocado, and rice bran oils. It comes with essential oils which are great for aromatherapy and offers calming effects. This product is made in the USA and is 100% natural and organic. This is a non-synthetic and unscented Vitamin E oil just for you. It can help in reducing wrinkles, dark spots as well as dark circles beneath your eyes. You can use it as a moisturizer for your skin. It can also treat damaged skin giving you a natural young looking skin. 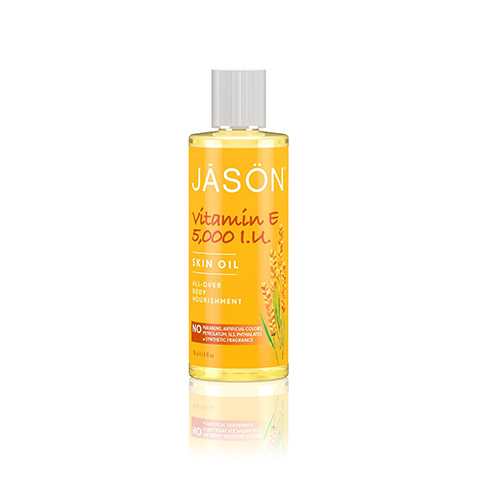 Jason Vitamin E Oil 5,000 IU contains a natural blend of organic ingredients. It is made of pure vitamin E oil along with antioxidants from almond, apricot, sunflower, avocado, and wheat germ oils. It is a healthy product that can renew the softness of your skin. It has no animal testing, parabens, sodium lauryl/laureth sulfates, petrolatum, and other artificial and synthetic ingredients. It can protect your skin against wrinkles and fine lines giving you a silky and smooth skin. This is an organic product that can help in the regeneration of your skin. It can nourish and moisturize your skin. 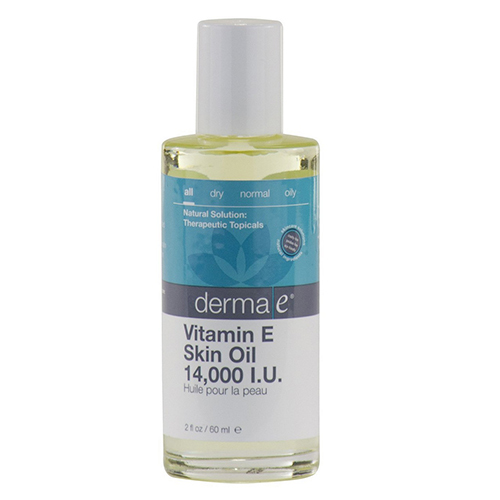 Derma E vitamin E 14,000 I.U. Skin Oil is formulated with pure Vitamin E which is the best antioxidant. It is blended with pure safflower oil as its base. 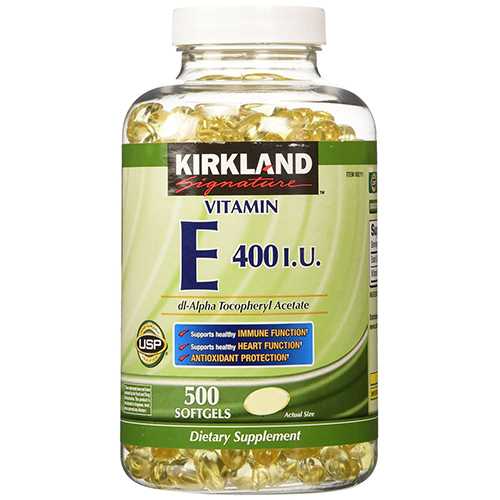 Vitamin E fights free radicals and oxidation that can damage your skin. This product can make your skin healthy and remove the effects of stress and pollution. It has no animal testing. It can soften your dry and rough skin. Lessen the occurrence of fine lines and wrinkles. OGX Healing Plus Vitamin E Penetrating Oil is a powerful and nutrient-rich vitamin E oil formula. 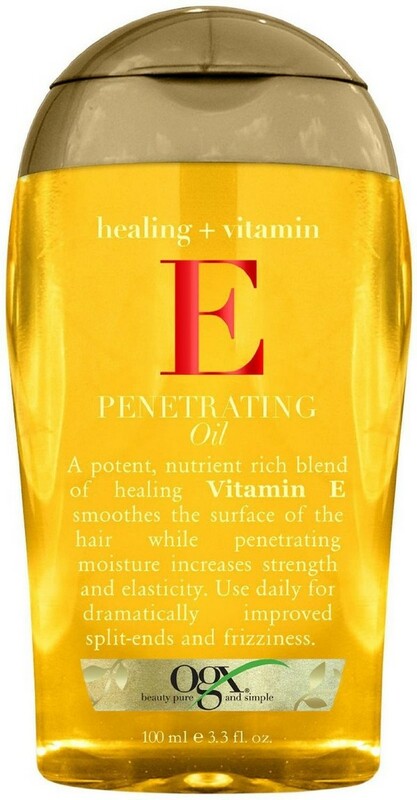 This concentrated Vitamin E oil will penetrate, heal and protect your hair strands. Aside from having a healthy glowing hair, it can also reduce the risk of upcoming hair breakage. It can give a healthy glow and shine to your hair. Use it daily to heal your damaged hair. It can calm your frizzy hair. Prevents hair breakage and dullness. Fuses split ends on your hair. 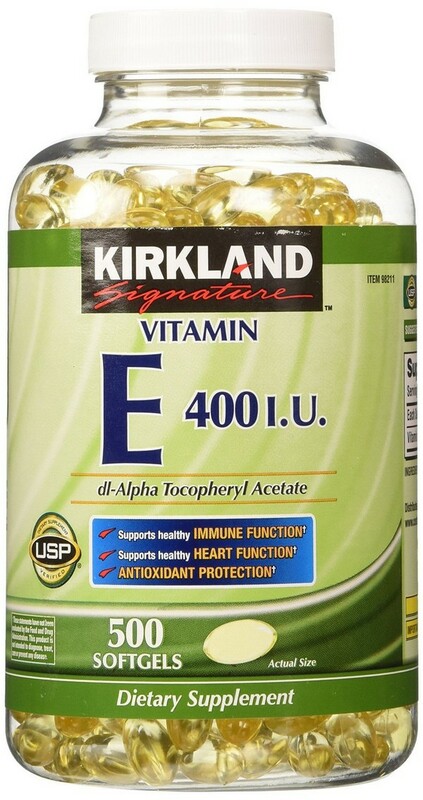 Vitamin E promotes cardiovascular health. It will help protect LDL cholesterol from oxidation which may result to cellular damage. 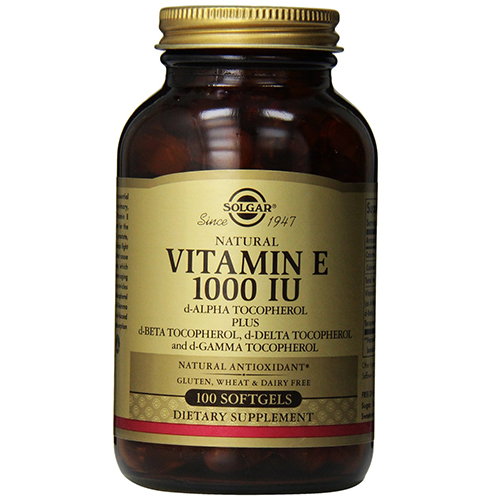 Vitamin E helps in supporting and maintaining healthy immune function, brain function, eyes, and skin. It is the best antioxidant protection. It does not have artificial colors and flavors. It does not contain any preservatives, yeast, starch or gluten. It’s ingredients, potency and manufacturing method are being tested and verified by USP. USP is responsible for setting the official standards when it comes to dietary supplements. Provides you with a healthy immune system, cardiovascular and brain function. It can make your eyes and skin healthy as well. This product is formulated from natural ingredients only. 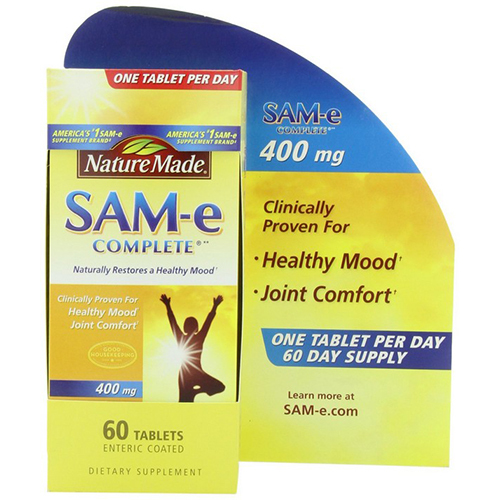 Nature Made’s Sam E 400 mg should be taken once a day. 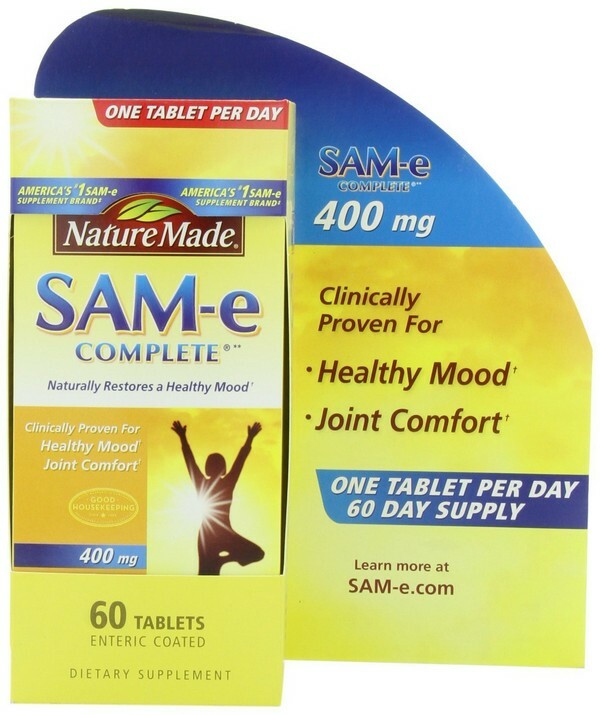 This product can improve your mood by balancing the function on some parts of your brain cells which include the neurotransmitters, dopamine, and serotonin. It can give you healthy joints by maintaining your joint cartilage. Due to our age and physical activities, our joint cartilage will most likely deteriorate. 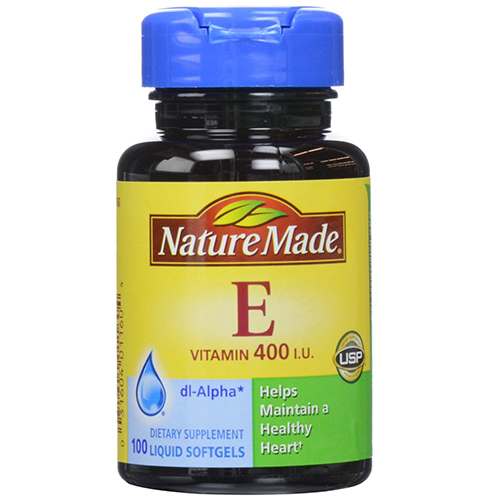 This Vitamin E supplement promotes overall healthy liver functions. It is also the best detoxifier. Helps in improving your mood. Provides you with healthy liver functions. Helps in preventing depression, panic attacks, and anxiety. 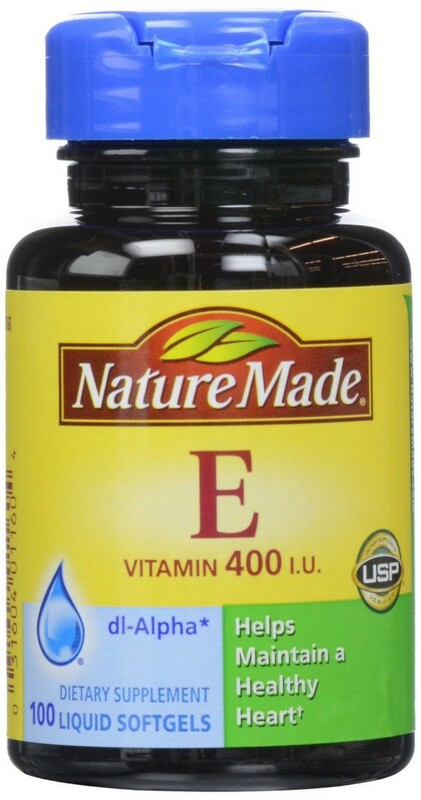 Nature Made Vitamin E 400 IU is a dietary supplement that is tested and verified by USP. It is the best antioxidant that can help in maintaining a healthy cardiovascular function. 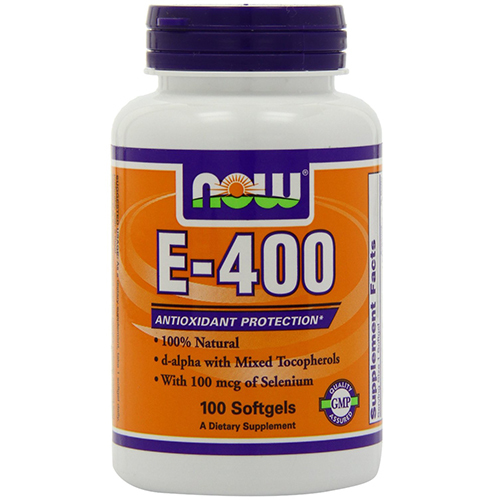 Vitamin E promotes a healthy immune system. Aside from this, it can also help in maintaining healthy muscle tissues and red blood cells. It is best to include this supplement in your daily regimen in order to have a healthy heart. This product is also great for memory, prenatal care, long life and overall health. It can guard your body cells against harmful compounds such as lead and mercury. You can take this supplement simultaneously with Vitamin C.
Provides you with a healthy heart and immune system. Promotes good memory, long life, and overall health. It is also an excellent health supplement for prenatal care. alpha, beta, delta, and gamma. It is an ultimate antioxidant and the excellent defense against lipid peroxidation. It gives protection to your body’s cells against harmful free radicals and oxidative damage. All of these protections can only be enjoyed by having a supplemental intake which has a higher content compared to your normal diet. Selenium is a significant trace mineral that is included in Vitamin E as a compliment. Selenium can help in lessening the risk of having cancer. However, according to the FDA, the proof is still limited and not convincing. Reduce the risk of cancer but the evidence is limited. 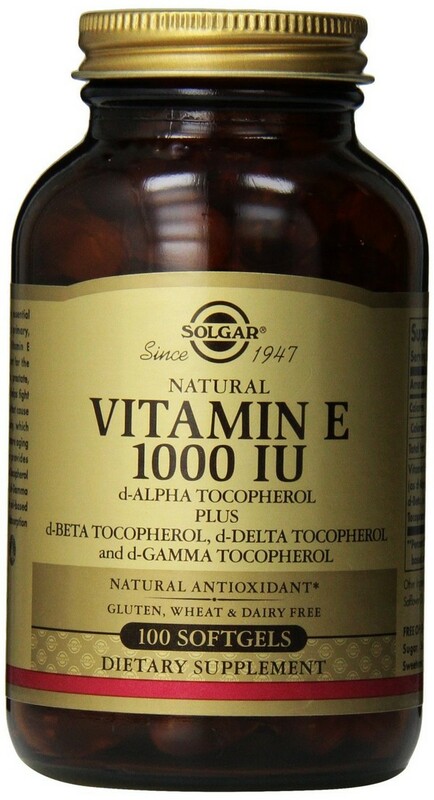 Solgar Vitamin E 1000 IU is a natural vitamin E. It is a significant nutrient that is an excellent fat-soluble antioxidant. 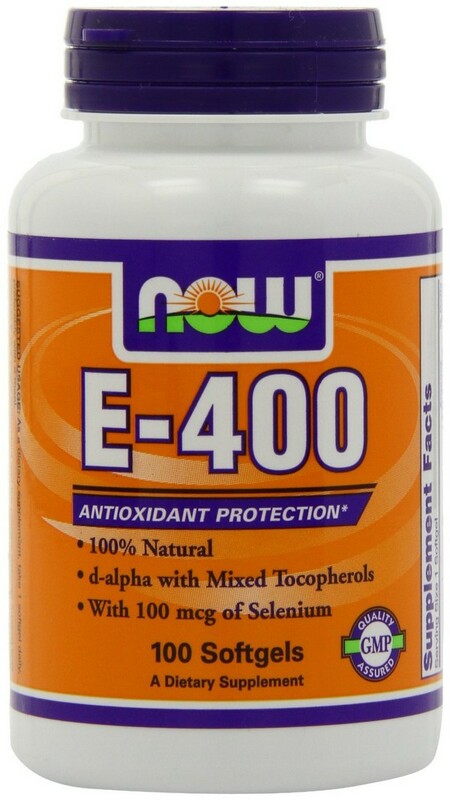 Combats free radicals that can damage the cells and results to oxidative stress in the body. This is an oil-based soft gel for quick absorption and assimilation. It promotes a healthy skin, cardiovascular and immune system. Prevents premature aging of cells. Vitamin E brings tons of benefits and functions for the body. Investing on one will take you a long way in maintaining a healthy body and lifestyle. Get one of these now and you will surely live a happier and healthier life! There are numerous essential oils you can try like Bergamot and Eucalyptus.